Vinyasa Yoga - how much of this modern-day practice is really based on the ancient yoga tradition? Some say that Vinyasa yoga is vastly different from the yoga that began centuries ago, meaning that we may not be practicing ‘true yoga’. If so, what then, is true yoga? When we embark on our journey into a Vinyasa Yoga Teacher Training, these questions may arise. Diving into the philosophical roots of yoga is vital in our study of this practice, for our own knowledge and understanding of this potent tradition, and in our teachings that share this practice with the world. This enquiry is especially important when you’re undertaking a Vinyasa Yoga Teacher Training. Yoga literally means to ‘yoke’ - to unite, or bring together. It melds all aspects of who we are - connecting our mental, spiritual and physical body as one. We practice to come home to the truth that we are, at the heart of us, divine beings living human lives. That connection to our divinity is where we will find liberation. HOWEVER…This isn’t the whole story. There are many people in the world who practice yoga as a form of exercise - to be physically fit and flexible, to bring their bodies to wellness. There are others who may practice in order to journey to a particular pose or acquire a new skill - and dedicate themselves in discipline to reach this goal. There will be people practicing yoga for stress relief. Then there are many that may be practicing yoga without a clear idea of why, apart from hearing that it’s good for you. Think for a moment - if you practice yoga - what is your reason for getting on the mat? Now more than ever, yoga styles are constantly being created, recreated and shared. We have a multitude of yoga styles - Ashtanga, Hatha, Vinyasa, Bikram, Jivamukti, yoga with goats, and so on. So considering that yoga is 5000, 3000 or however many thousand years old that is often claimed - does that make these new styles - like Vinyasa - inauthentic? Some will claim that there is only one way to practice, and that is in line with the most ancient of traditions of yoga. Many practitioners may remark that these ‘new’ forms of yoga aren’t true to the roots of ‘real’ yoga. Though if we consider the roots and history of yoga, and the movement it made through India, and eventually to the West, you may be surprised to see just how much this tradition has evolved over the years. What we find is a sense of appreciation for the innovation of yoga, the evolution, and also a sense of freedom of the practice. Delivering us back to the idea that is yoga is about uniting - then maybe it is less about the specifics of what it is you practice, and more about how you practice. As you’ll discover, true yoga cannot be stemmed down to one traditional text or sole creator. If you’re looking for that one true answer - then you’ll be let down. Though, if you’re interested in unraveling some if the history of how yoga came to be as it is today - especially in its journey from East to West, and how Vinyasa Teacher Training experiences came to be so popular - then read on. In the 19th century, with India under British Colonial rule, traditional Hatha yoga philosophy (stemming from traditional ancient texts) fell out of popular interest. Though some masters remained, it wasn’t until the revival of Hindu philosophy in the very late 19th Century that yoga surged back in to the culture, thanks to some big names in the yoga world. Tirumalai Krishnamacharya was an Indian scholar, Ayurvedic healer, and yoga teacher. He claimed that the ancient text of Yogarahasya (meaning ‘The Essence of Yoga’) was key in his understanding of what yoga means, and how he could share it. The story goes that his own ancestor Nathamuni materialized as he sat under a mango tree and sang the verses to him, which he memorized and later transcribed. His studies lead him to a guru named Sri Ramamohana Brahmachari, where they examined Patanjali’s Yoga Sutras, asana and pranayama practices, and the wisdom on ancient texts such as the Hatha Yoga Pradipika. Krishnamacharya also studied with a renowned traditional yoga scholar named Kuvalayananda, who was trained in the early 1900s by a guru Rajaratna Manikrao, who taught an Indian system of physical movement. Kuvalayananda was important in the yoga world as he began to teach yoga masters physical asana techniques in order to spread the interest of physical movement throughout India. Traditional yoga before this had its roots in ancient Hatha philosophy, which was much more rooted in pranayama (breath) and the system of thought and spirituality of yoga, rather than any physical system. 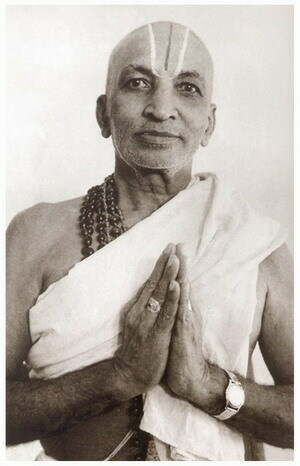 Krishnamacharya became better known in the yoga world, and was invited to teach at a Sanskrit College in Mysore in 1931. The ruling family of Mysore was already very interested in yoga, housing one of the oldest books with illustrated asana, known as the Sritattvanidhi. The Maharaja of Mysore believed strongly in the healing benefits of yoga, and funded Krishnamacharya to share yoga throughout India in public demonstration. Krishnamacharya then began to work in his first self-owned ‘shala’, which was the palace’s gymnastics hall. As Krishnamacharya had his roots in Ayurvedic science and Hindu philosophy, blended with his life experience, he was one of the first Indian gurus to really begin not only to evolve what he learned, but also to create a teaching and system that could be shared with others. His innovations led him to create a comprehensive asana practice, which was later the seed for two very popular practices of Ashtanga Vinyasa and Iyengar Yoga. He trained some of the most well known names such as B.K.S. Iyengar, Pattabhi Jois, and Indra Devi, among others. In the that period of late 19th century and early 20th century, yoga began to make its mark on the Western world. 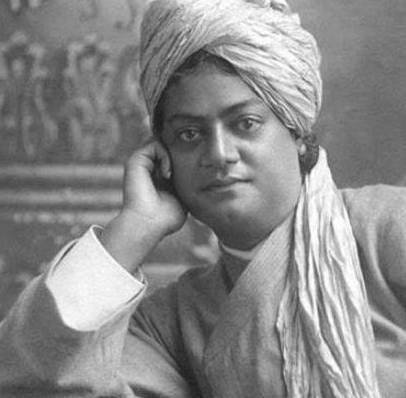 Swami Vivekananda was another Yogi who focused largely on the inner aspect of yoga. He travelled to America to speak about Yogic philosophy in 1893 at the World’s Columbian Exposition (also known now as ’The World’s Fair’) in Chicago. He planted the seed of Yoga as a system, though not in terms of physical asana and the practices that we recognise today. The physical ‘asana’ aspect of yoga in the West spread in a different way. Krishnamacharya, as mentioned above, had 3 key students in the 1930s. Indra Devi was the first Western woman to study with Krishnamacharya. She travelled around the world teaching, eventually landing in Hollywood, where she opened a yoga studio in the late 1940s. Her style had roots in the classical system of Patanjali, making her teaching similar to that of the later created Ashtanga yoga system. Another notable name is B.K.S Iyengar, who is actually Krishnamacharya’s brother-in-law. He began teaching in the late 1930s in India and had many locals and travellers from all over the world come to learn and practice his style. In 1954 he went to Switzerland, and two years later made it to the U.S. There are still countless Iyengar yoga centers around the world. 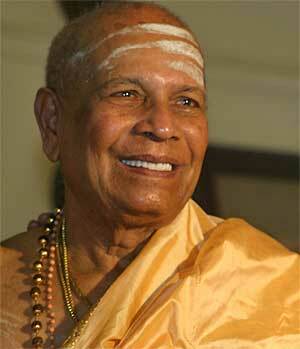 Pattabhi Jois was the creator of Ashtanga yoga, and he was another main student of Krishnamacharya. He taught for many years in India, and as his name spread with the word of Yoga, people from the West began to travel to India to learn from him. In 1975 Pattabhi Jois taught his first class in the U.S, in Encinitas, California. David Williams, who studied with Pattabhi in India, sponsored Pattabhi and his son Manju to travel to America. The people who attended his class went on to create their own studios, styles and classes - further spreading yoga to the West with different takes on the practice. From this spreading seed of Ashtanga Vinyasa yoga, we have many innovations in styles we recognise today, such as various Vinyasa styles, or more well known practices of Jivamukti (1984) and Anusara (1997), among countless others. This is how Vinyasa yoga was birthed, and began to evolve as practitioners branched out with their own philosophies, focuses and traditions. Practitioners began to then create systems of certifying people to teach their Vinyasa styles, and people began to acquire their own Vinyasa yoga certification through various Vinyasa teacher training experiences around the world. Bali’s vibrant culture and rich spiritual traditions that occur in day-to-day life make it a perfect place to host an immersive yoga experience like a Vinyasa Teacher Training. As these trainings generally span about a month (though it can vary), it gives each practitioner a retreat-like environment to get space from the outside world, obligations, and responsibilities, to be fully in the experience - with heart and soul. Bali’s slow pace of life, accessibility to amazing accommodations, healthy food, natural landmarks and the fact that it’s religion draws from the Indian Hindu tradition, has made it a yoga hub throughout the years. There’s many more reasons as to why people choose a yoga teacher training bali experience, though for this context, we’ll focus on what you need to know about getting a Vinyasa yoga certification in Bali. Vinyasa yoga is now one of the most widely practiced and accessible styles of yoga around the world. Since it’s a blend of different styles, from our various founding fathers, it leaves a lot of room for creativity in a way which people have a wide range of Vinyasa classes to experience and ultimately traditions to resonate with. For example, Radiantly Alive’s Vinyasa style is heavily focused on breath and body connection - just as any Vinyasa class would be - as well as having a deeper intention and groundedness to the classes to have it be beyond just a physical practice. Our training has become one of the most recognized Vinyasa yoga teacher training Bali experiences out there. You’ll find many different offerings on this island if you’re looking to receive a yoga teacher certification Bali. Some styles will have much more focus on the physical aspect, and other styles will also have a Vinyasa yoga tradition that is more philosophy based. It’s really just a short online search away from finding all of the schools and studios that offer the best Vinyasa teacher training bali experiences. When choosing your Vinyasa yoga teacher training, it’s important to know that there are many possibilities, and it can get overwhelming to choose when there are so many great trainings out there. Know that for one, you’ll probably do more than one training in your life. It’s addictive! Also, once people have completed their 200 hour yoga teacher training Bali, they generally opt to take a 300 hour yoga teacher training Bali too. Second piece of advice is to research and get familiar with the studio’s vibe. This means reading through their website, watching testimonial videos if available, and just getting an all-round feel for who they are and what they offer. The energy here at Radiantly Alive is based on a community family feel, hence our calling: ‘come for yoga, stay for family.’ If you can come to a studio and try out some classes before you make your decision - amazing! That will give you a very palpable feel of the place and what the Vinyasa teacher training may be like. 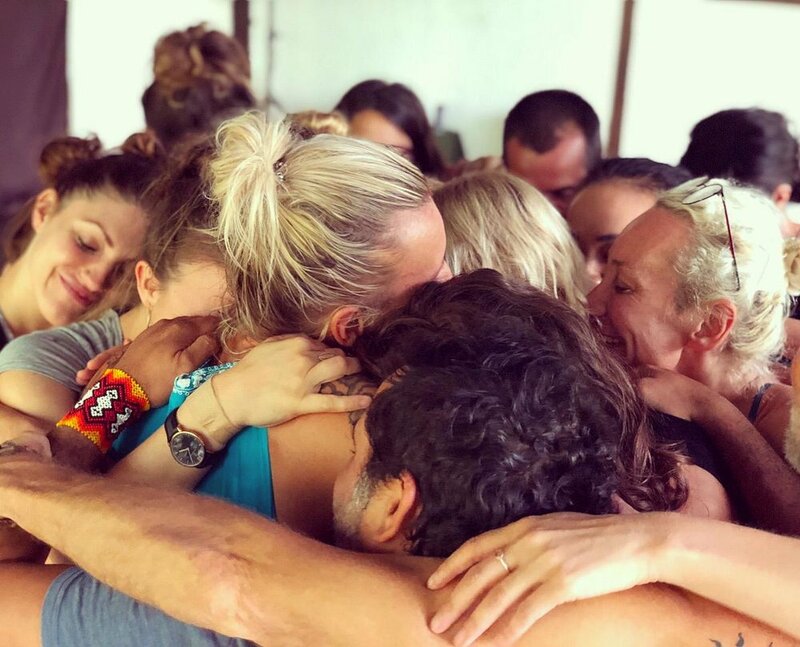 Though we know it’s not always the case to be able to taste-test the Vinyasa teacher training bali experience by coming to the island first, again, we advise researching and reading feedback and course descriptions. That can give you a good feeling about what the training may offer you. If you really have felt a strong pull to dive deeper into your practice and receive a Vinyasa yoga certification, it’s a special and important decision to be making. Take your time, ask questions, seek personal contact and maybe we’ll see you on the island soon! Yes, I am Ready - Sign me up! As you can see, yoga has always been evolving and changing. The adaptation of this ancient system was a natural occurrence, just as anything shifts and evolves in the world. The impermanence of life in the growth cycle, birth and death, is expressed conceptually through the way that the system of yoga has surged back into popularity, shifted, shared and moulded to the vibrant, abundant styles we see today. Ultimately, the true practice of yoga lies not in a text, or one guru. It is not found in one ‘right’ vinyasa yoga teacher training. It lies not in one single posture, sequence or philosophy. As many roads can lead to the same destination, there can be many paths to what we experience as yoga. Our advice? Listen to your heart and find your own path. Commit to that path without attachment, be open to evolve, and enjoy the magnificent, enlightening journey ahead.